The latest Fiesta may be bigger, more comfortable and more refined than ever, but it’s still very much a Fiesta at heart. Consequently, along with its new-found sophistication, it bristles with the type of fun-to-drive character that has beguiled countless Fiesta drivers down the years. As well as that, this latest model is also easier to live with, thanks to better ergonomics, upgraded cabin materials and a tad more interior space, along with the latest infotainment technology and safety kit. Is the Fiesta all the car you’ll ever need? Not entirely, but it’s pretty darn close. Expensive, and do you really want you Fiesta to look like an SUV? These days, safety implications, interior space and aerodynamics have as much influence on the way a car looks as any designer’s imaginings. So, it’s even more encouraging that the latest Fiesta – which is available with three- and five-door hatchback bodies – still looks far more distinctive than many of its anonymously styled boxy rivals. Even the most basic models look pretty chic, and every model from Zetec upwards gets enhancements like alloy wheels and front fog lights. ST-Line models are much sportier thanks to larger 17-inch alloys, a lowered stance, a pair of black mesh grilles and a mean-looking body kit. Titanium models, meanwhile, adopt a more understated look, with smaller 16-inch alloys, chrome trimmings and rear privacy glass. Although they are likely to remain a rare sight on UK roads, you will recognise range-topping Vignale cars by their chromed grille, a unique bumper with integrated foglight housings and a range of bespoke colours. The Active models, meanwhile get an SUV-esque makeover, with beefier bumpers, roof rails and a jacked-up suspension. Perhaps the most striking thing about the latest Fiesta’s cabin is its dashboard. It looks much less cluttered than the previous car’s, as there are far fewer buttons, while the instrumentation is easier on the eye thanks to its sharp graphics. The biggest news, however, is the ‘floating’ iPad-style touch-screen in the middle of the dash. It comes in two sizes – a 6.5-inch version on mid-range cars and an 8.0-inch version on the top models – and the good news is that its quick to react, it’s intuitive to use and it’s easy to hit the various menus when you’re driving, thanks to its large icons. All bar the entry cars come with Apple CarPlay and Android Auto, which allow you to sync your phone and control selected apps through the touch-screen. 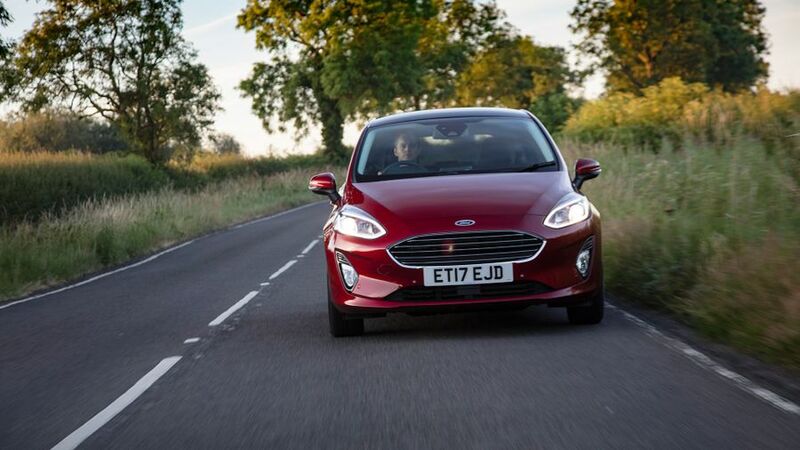 The materials used in the cabin don’t quite give you that same feeling of connection because they’re not all that tactile, especially when compared with those in the Fiesta’s poshest rivals. They are, however, solid, smart and of a reasonable quality. The Fiesta’s driving position is one of the car’s biggest highlights. With a wide range of steering wheel and seating adjustments, and pedals that are neatly aligned, everyone from little old grannies to bean-sprouting teenagers will have no trouble adopting the perfect driving position. The one word of caution is that the seat adjusters are jammed low down between the seats and the doors, making it particularly tricky to reach the rotary controller and adjust your seatback angle. Apart from this, everything feels just right: the heater controls, lights and indicator stalks all operate with smooth, easy precision, the pedals are beautifully weighted and the steering wheel rim feels reassuringly complaint and chunky. The Fiesta is very much par for the course in this respect. Although the glovebox is just about ok and there’s a useful cubby ahead of the gearstick to help keep your wallet and phone from flying around, the Fiesta is not overly blessed with storage. For instance, the door pockets are far too slim to take a one-litre bottle of water and the central under-armrest bin is very dinky. Rear seat space is identical no matter whether you go for the three-door or the five-door, but obviously, getting into the back of the car is a lot easier the more doors you have. The space itself is pretty average when compared with rivals; headroom is fine, but legroom is a little on the tight side, especially if your passengers are tall. Similarly, although the Fiesta’s boot is deep and more than capable of coping with the weekly supermarket shop, it's rather narrow, which means you’ll have to fold down one of the rear seat backs if you want to take a baby buggy with you. 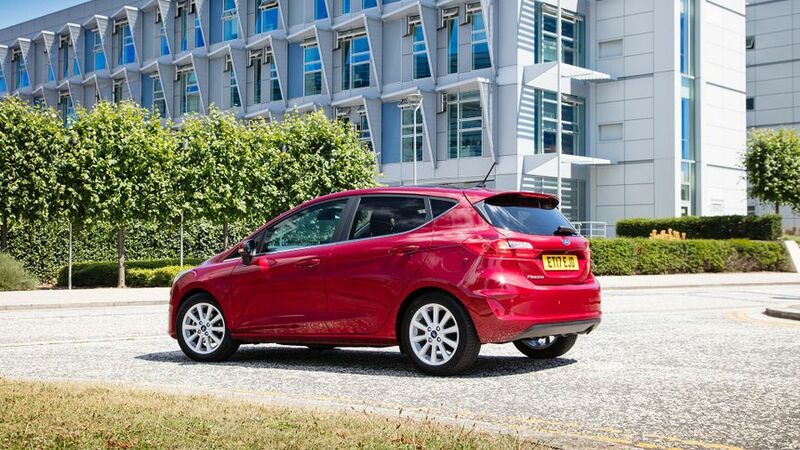 The biggest improvements to the latest Fiesta have been made in how quiet and smooth it is. With significantly less noise and much less of the road surface felt through the body, it’s far more civilized than the old model. Wind noise is still noticeable at motorway speeds, but it’s hardly intrusive, and if you’re particularly sensitive to it, Vignale models come with a thicker windscreen to further reduce the decibel level. There have always been subtle variations in the way different Fiestas drive and, if anything, these differences are even more pronounced with this latest model. The three-cylinder petrol-engined cars strike the best compromise between comfort and agility, delivering a smooth ride, sharp, connected steering and impressive levels of grip. Go for one of the diesel versions, however, with their more compliant suspension and softer engine mounts (fitted to help reduce vibrations), and the car feels less sharp to drive. With more vertical body travel and less connection through the steering wheel, the diesel cars are slower to change direction and their bodies suffer from significantly more roll in corners. If you’re prepared to sacrifice a degree of comfort and accept a fraction of additional road noise, then the ST-Line cars are the ones that will probably ring your bell. Fitted with stiffer, lowered suspension and 18-inch alloy wheels shod with low-profile tyres, they provide sharp turn-in and excellent front-end bite in corners. 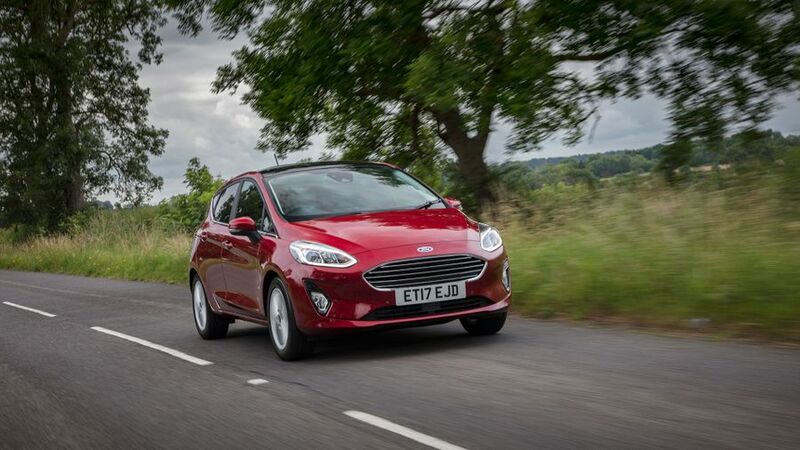 At the other end of the scale, the Active models have a raised suspension that make them softer, waftier and more comfortable than your average Fiesta, but less sharp in the corners. The most popular engines in the Fiesta will the turbocharged 1.0-litre three-cylinder petrols, which are available with outputs of 100-, 125- or 140 horsepower. To be honest, the entry-level version will be pokey enough for most people. Admittedly, it’s not particularly strong at lower revs and it is prone to the odd stutter when coming on or off the throttle in heavy traffic, but get it spinning above 1500rpm and it really starts to warm to its task, delivering eager - if not especially brisk - acceleration. The middle option is very similar in character and doesn’t serve up a great deal more in terms of pace, but the extra urge does mean you won’t have to change down a gear as often when trying to cope with the changing speeds of motorway traffic. The pokiest version could also do with more low-down urge, but it’s an engine that simply begs to be revved hard and, when you go for it, it gives the Fiesta an impressive kick up the backside. It sounds pretty good, too, emitting a sporty warble that’s further enhanced through the speakers, and you’ll also love the sweet-shifting manual gearbox. 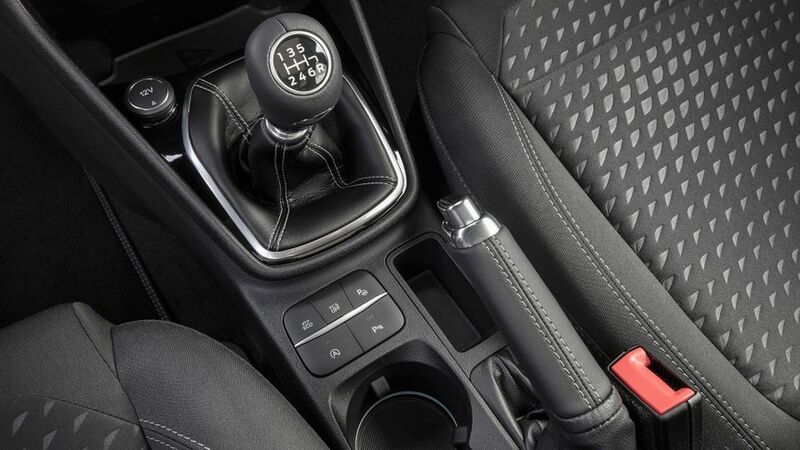 You won’t be anywhere as impressed by the optional a automatic gearbox, though, because it’s not that quick to respond or particularly smooth when swapping gears. The 1.5-litre diesel/-engined model may not be the sharpest Fiesta to drive, but it’s impressively strong and smooth and delivers exceptionally strong power delivery at low- and mid-range engine speeds. Consequently, it requires very few revs to rapidly zoom up to motorway cruising speed, and once it’s relaxed in top gear, you’ll struggle to tell it apart from a petrol engine. Should you require an additional burst of overtaking power, its inherent strength ensures it seldom require more than a single downshift to zip past slower traffic. This is a key area, and the Fiesta makes a pretty compelling case for itself. Servicing is cheap and so are replacement parts, and what’s more, insurance companies are always happy to give you a good deal on cover for your Fiesta. On the face of it, the fuel consumption figures look good, too, but be a bit careful about what you read into them, especially with the three-cylinder petrol engines. If you drive them in the same way as a diesel engine, using the low-down pulling power and changing gear halfway up the rev range, then you may get somewhere approaching the official fuel figures, which stand at around 65mpg. Because it’s so easy to get addicted to the revvy nature of these engines, however, you’ll probably struggle to achieve this. The 1.5-litre diesel engined cars are likely to hold more appeal to fleet users than private buyers. The entry 85 horsepower version is claimed to return 88mpg, and the 120 horsepower version is not too far adrift of this. CO2 emissions are impressively low, too – 89g/km for the more powerful version. Looking at the headline purchase price, the Fiesta isn’t particularly cheap compared with its rivals. What’s more, traditionally, Fiesta resale values haven’t been as strong as those of a VW Polo and we expect that trend to continue. If you had any thoughts along the lines that the Fiesta is a cheap little car, so it’s probably unreliable, then forget them. 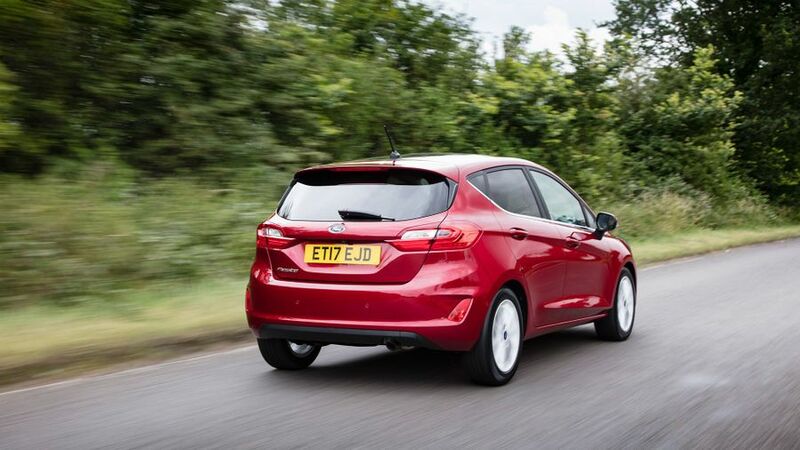 We certainly haven’t heard any horror stories from Fiesta buyers concerning common faults, and the previous car has always performed well in customer satisfaction surveys and reliability studies. 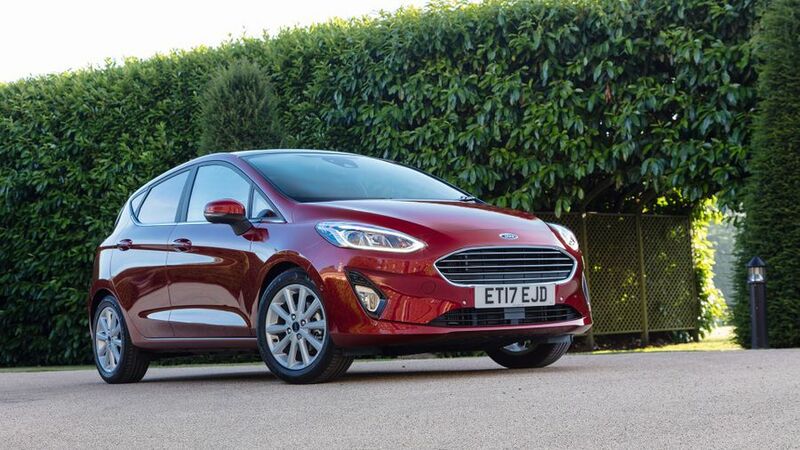 For example, Warranty Direct’s Reliability Index places the Fiesta near the top of the scale for dependability, with Ford also performing very well as a brand overall. That sort of performance should provide buyers with plenty of confidence. There’s a whole raft of safety kit available for the latest model, although most of it is optional. This includes Active City Stop, which helps drivers avoid low-speed collisions, along with lane-departure warning and assistance, and Emergency Assistance call out. Other technologies available include road sign monitoring (to keep the driver up-to-date on speed limits) and active cruise control to maintain a set distance from the traffic ahead. Sensors that warn of vehicles approaching from the side when reversing out of a parking space are also available. Ford is unique in offering ‘MyKey’, a system that allows several keys to operate the car, but with various settings (such as the car’s maximum speed, the volume of the stereo and so on) uniquely programmed to each key by the owner. 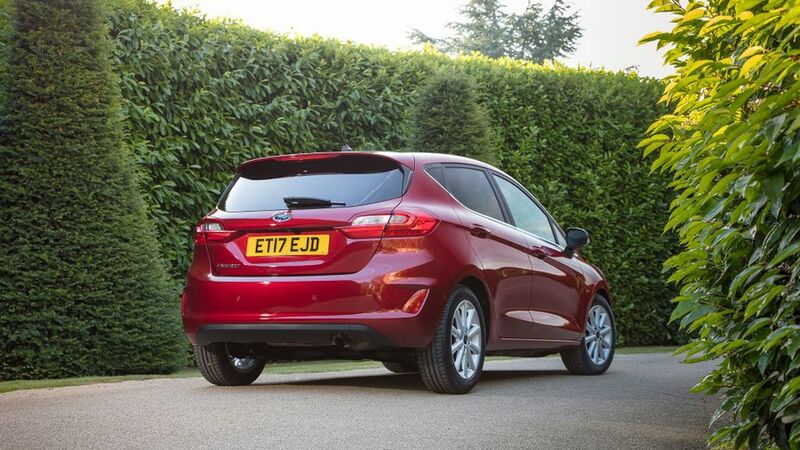 Happily, the Fiesta has achieved the maximum five-star rating in Euro NCAP crash tests. 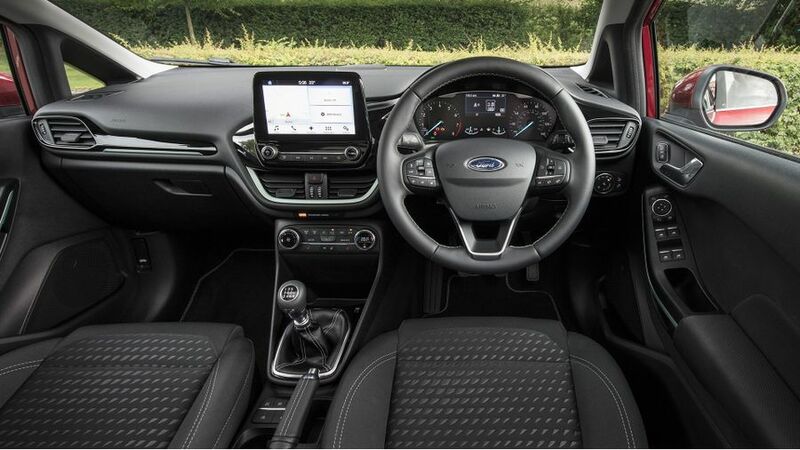 All Fiestas come with a decent amount of kit, and even the entry-level Style (primarily aimed at budget-conscious customers and fleet users) still comes with air-conditioning, front electric windows, remote central locking and Bluetooth as standard. Upgrading to the popular Zetec trim gives you 15-inch alloy wheels and daytime running lights, plus a heated windscreen, which is brilliant on frosty mornings. 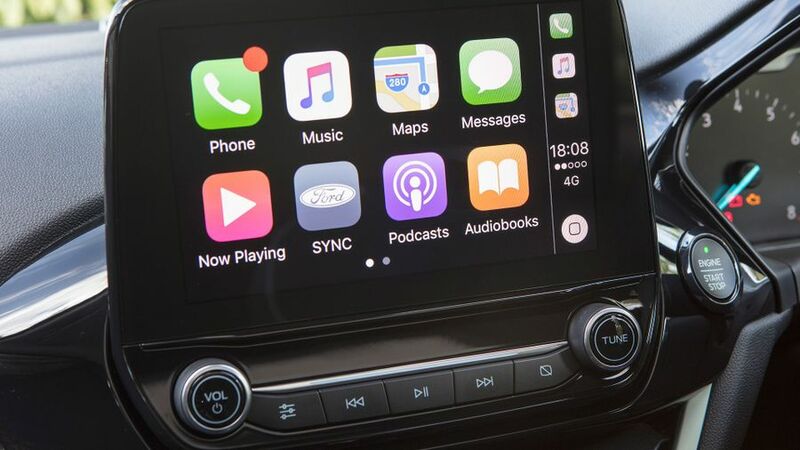 Also included is a 6.5-inch touch-screen infotainment system, which features Apple CarPlay and Android Auto. There’s also a B&O Play Zetec version, with a kicking sound system developed with stereo experts Bang & Olufsen. Titanium has almost everything you could wish for, including larger 16-inch wheels, rear LED lights, rear privacy glass, auto-dipping headlights, rain-sensing wipers, power-folding mirrors and cruise control. On top of this, keyless entry and start-up, dual-zone climate control and an 8.0-inch screen complete with navigation integration round out the spec. Titanium X gets the B&O audio system as standard, as well as part-leather upholstery, heated front seats, a heated steering wheel and - on five-door models - electric rear windows. The ‘Top Trumps’ model is the Fiesta Vignale, distinguished by 17-inch alloy wheels and unique front bumper, grille and foglamps. There’s also a full-length panoramic sunroof, heated, quilted-leather seats, a rear-view camera and parking sensors. 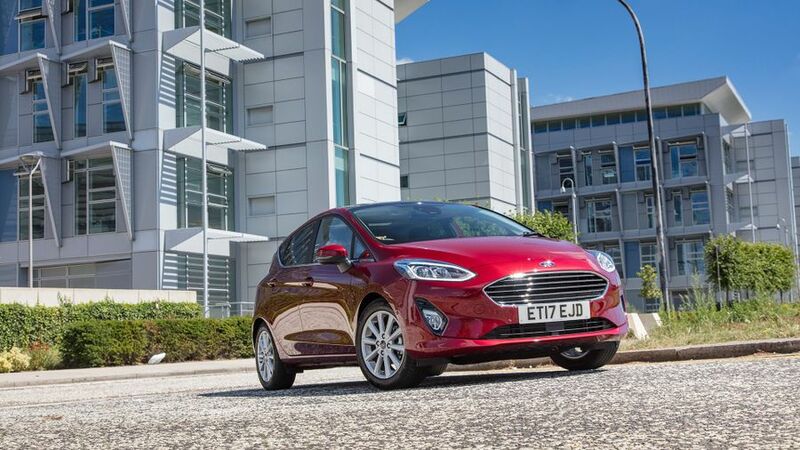 The Active models get three of their own bespoke trim levels, which are based loosely around the mid-range trim levels of the conventional Fiesta, but they do come with a couple of extra luxuries on top of the more rugged styling. You’ll buy a Fiesta safe in the knowledge that you’re getting an immense amount of car for your money. Go for the right combination of engine and trim level, and few other cars in the sector get anywhere close to matching its winning combination of fantastic driving prowess and easy usability. While its low running costs will certainly appeal to the budget-conscious, the smartly trimmed cabin, great driving position and excellent refinement will dispel any concerns you may have had about the shortcomings of budget motoring.